How Does Your Provider Measure Up? 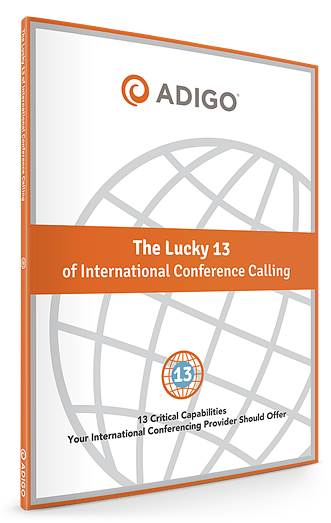 This 17-page guide will help you understand the 13 critical capabilities of what it takes to deliver high-quality, extremely reliable and easy-to-connect international conference calls. By following this guide, you will be able to readily evaluate your current service provider, or know what to look for in a new one.